Conwy Valley heart attack victim pens book to thank his local hospital | News by Wales Express News, People Before Profit! 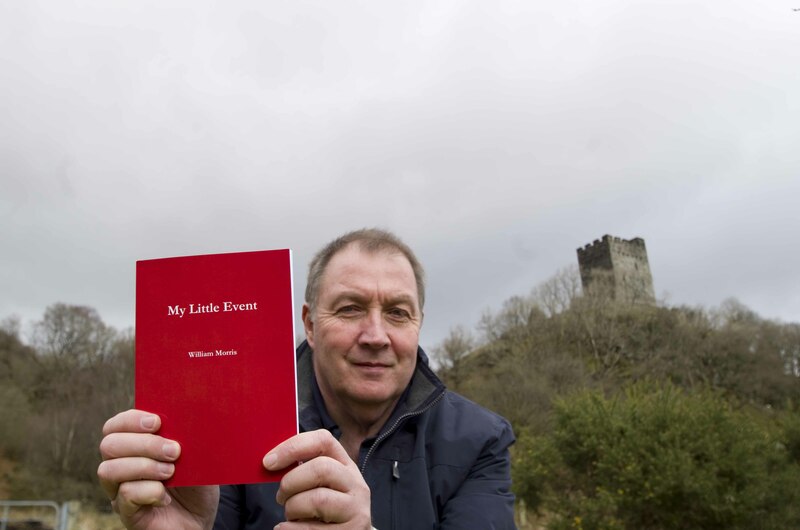 A Conwy Valley man hopes a book he has written detailing his positive experience of the NHS will help raise money for the local hospital where his life was saved. Conwy Valley man – Bill Morris with his book My Little Event. Kind hearted Bill Morris underwent major heart surgery in October 2013 after suffering a heart attack when he was out at work, carrying out property energy surveys in Gwynedd and Anglesey. The 55 year old spent three weeks under the care of cardiac teams at Ysbyty Gwynedd and Ysbyty Glan Clwyd, before receiving six heart grafts during a seven hour operation at Liverpool’s Broadgreen Hospital. Now fit and well, Mr Morris has self published My Little Event, a book which details the good care he received. All profits from the sale of the book will be donated to Glyder Ward and the Coronary Care Unit in Ysbyty Gwynedd. Bill said: “I found writing the book quite therapeutic. By getting the story written I managed to start getting some sleep, because before that I had all these events and characters who I had met during my stay with the NHS both in Wales and in England charging around in my head. You can download a copy of Bill’s book from the Apple Bookstore here http://tiny.cc/peo5tx Lulu.com here http://tiny.cc/oco5tx. A full list of stockists is available from Bill’s website: http://www.wmepc.co.uk/cardiac-wards-ysbyty-gwynedd.php.